St. Louis-based artist John Hendrix has drawn characters and scenes from the Star Wars films with only the use of his memory. 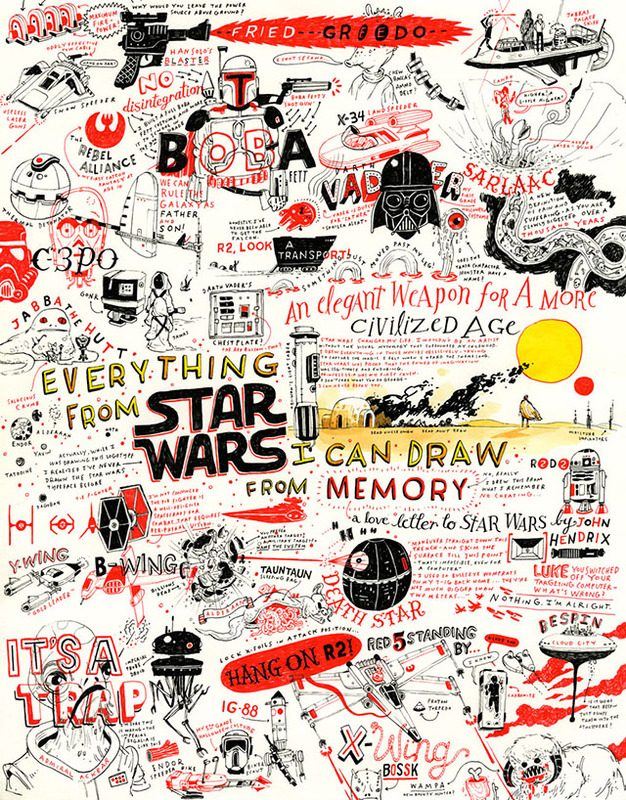 This impressive illustration will be on display during the A Saga in the Stars: A Tribute to a Galaxy Far, Far Away group art show at Gallery Nucleus in Alhambra, California from Saturday, May 4, 2013 to Sunday, May 26, 2013. I can never repay George Lucas for what Star Wars gave me. Star Wars is so close to my heart, I honestly couldn’t decide what image to make for this show, it was just all too important. So I just decided to draw everything… from memory.